I made this game in GameMaker 8. 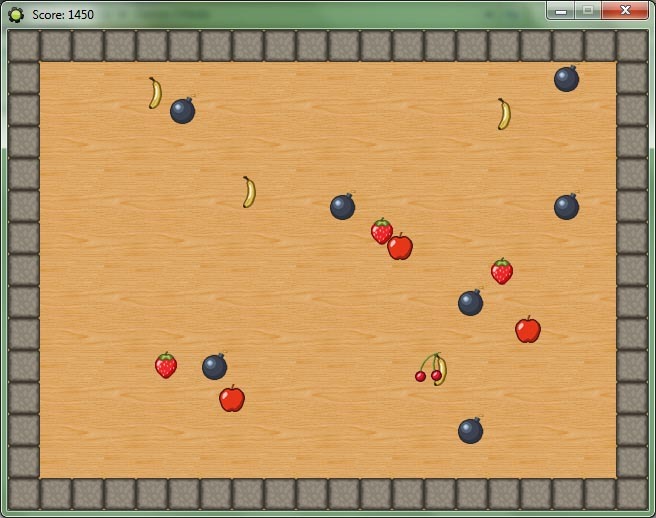 In this game you click the moving fruits for points. But don't click the bombs, they will give you a game over screen.